Look and sound more professional! Try it free for two weeks. Then starting at $8.99/month thereafter. Look like a national company or establish a more local presence. Make your small business look bigger, national, and more established. Connect with your community by choosing a number with a local area code. Instantly see when a call is coming from your business number so you can answer in a professional, business-like manner. Easily turn your small operation into a multi-department powerhouse by using different extensions for each department even if you’re the only one answering calls! Record a professional greeting and easily add department & employee extensions in seconds. There’s a reason people have separate work emails. And yet, many people use their personal phone numbers for business. Why not separate both for the same reasons? Instantly know when a call is personal or for your business. 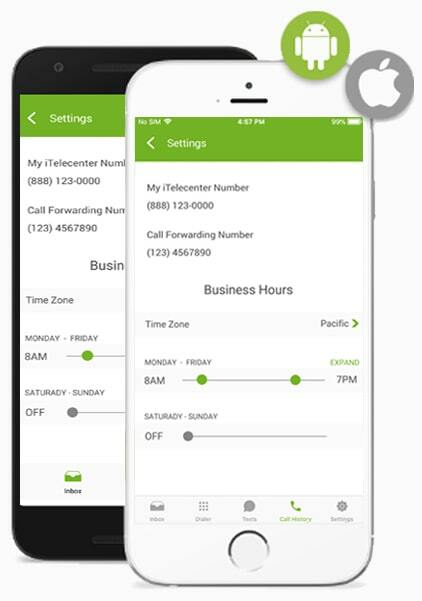 Make calls and send text messages through the app and your business phone number shows on their caller ID. This keeps your personal number private. Choose when you want to accept business calls. After hours, calls forward to your professional business voicemail. Make & receive calls using your existing cell phone. One phone, 2 numbers. Your business number uses your current cellular signal to make and receive calls so you can work from anywhere your phone works. Text and fax online right through any computer or use our iOS or Android app. Can’t take a call? No need to sit through a long, rambling voicemail. 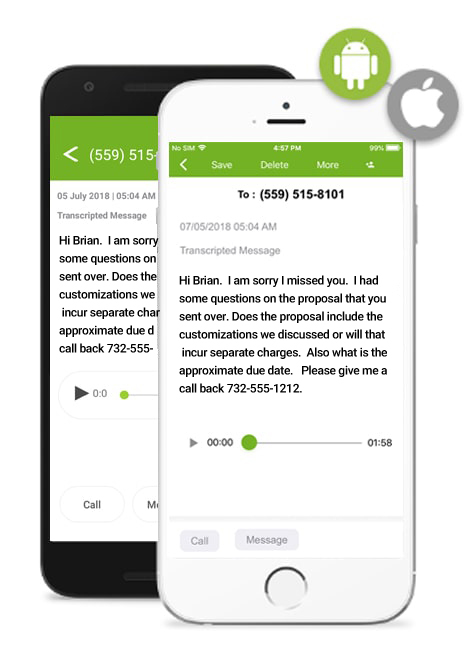 With Voicemail Transcription add-on, we transcribe your voicemail messages, so you can scan through them on your phone. We've served over 100,000 businesses. "It's a great service, and I don't have to be stuck in the office to receive business calls." 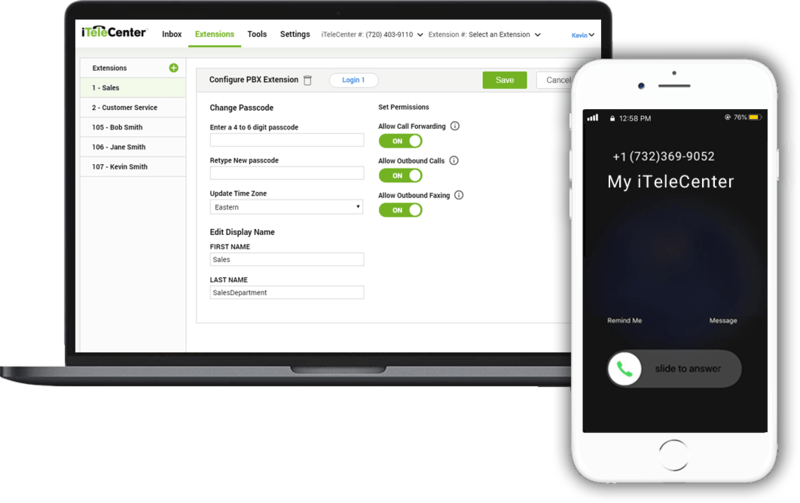 "iTeleCenter is like an easy button for your business phone solutions." "iTeleCenter is an outstanding value..."
Get the Free iPhone or Android App that makes our service even easier to use on the go!